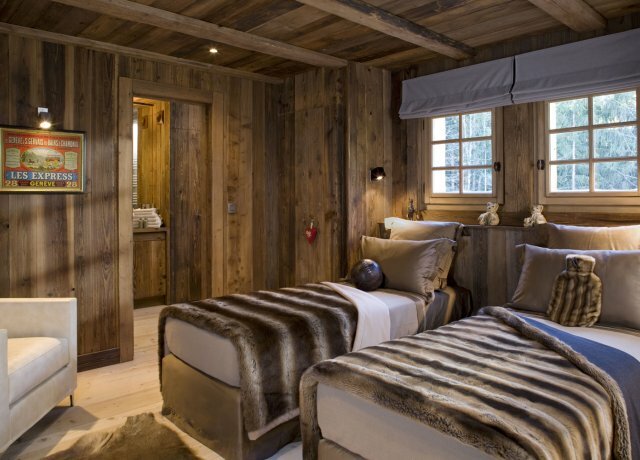 Chalet Amazon Creek Chamonix. 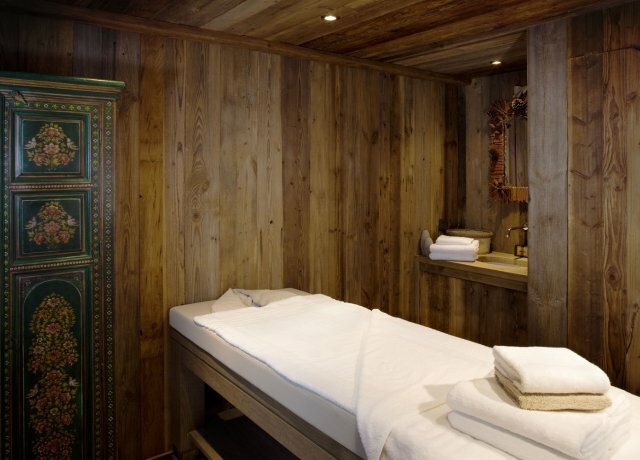 Are you interested in a luxury chalet experience that includes a long list of services but also stunning natural scenery? 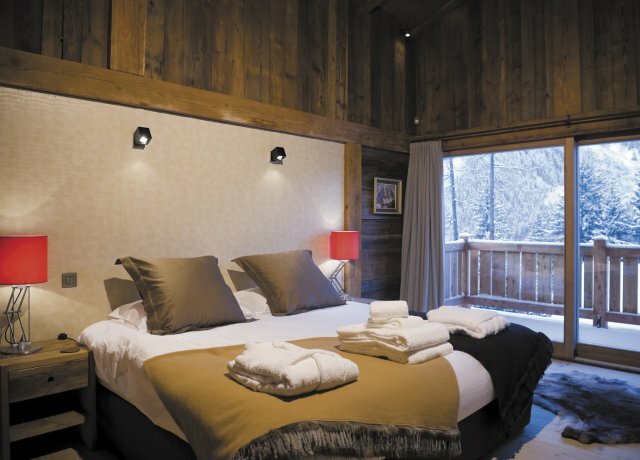 If so, the lovely Chalet Amazon Creek is one to consider. Located in Les Bossons, which is part of the Chamonix Valley in the French alps, it provides amazing views of Aiguille de Midi in addition to Mont Blanc. It sits in a private area tucked up against the woodlands and bordered by a stream. It provides an array of amazing interiors as well as some stunning services. Your stay includes the services of a private driver and a household staff comprised of a chef, housekeeping and a dedicated chalet manager. You are welcomed with a champagne reception, and six evenings each week there is a canapé and champagne service before your four-course dinner. Each day begins daily breakfasts and each afternoon includes high tea, and there is an open bar too. Fresh flowers are part of the experience too. 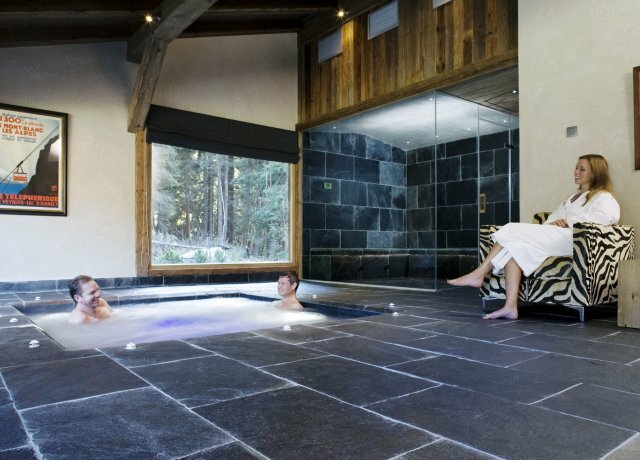 The services and location are not the only amazing features of this five-bedroom property, and the chalet also has an outdoor pool area, a spa facility with sauna, Jacuzzi, steam room, and massage treatment rooms. There is an outdoor hot tub on the terrace too. With its classic stone and wood design, it is a visually appealing property, but the interiors are just as welcoming. The great room is high-ceilinged and uses the iconic large beams and wood paneling to create a wonderfully warm atmosphere. The chocolate brown and red palette create a nice energy in the living room, dining area and lounge. The five bedrooms use this same low-key décor to create restful retreats. There are two master suites, one with a private balcony. 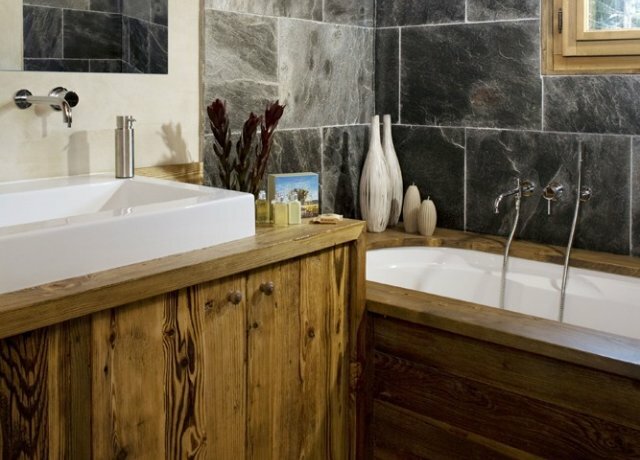 The other suites feature dual twins and private baths. Spacious and amenities-rich, the Chalet Amazon Creek is a wonderful find for groups and families. Included in the winter rates : Airport arrival and departure transfer (Geneva) and chauffeured driven vehicles, chalet orientation, daily housekeeping, champagne and canape reception on first evening, private chef for daily breakfast and afternoon tea and 4-course dinner with house wines served 6 nights per week, fresh flowers, chalet manager, concierge service and all utilities (water electricity, heating, firewood and WiFi). Included in the Summer rates : Welcome pack including champagne, wine, charcuteries and cheeses upon arrival and chalet orientation, daily housekeeping, fresh flowers, outdoor split-level pool, use of the Weber BBQ, chalet manager, concierge service and all utilities (water electricity, firewood and WiFi). Getting there by plane : Geneva Intl. Airport 1 hr. 10 mins. Lyon Airport 2 hrs. 10 mins. Grenoble Airport 2 hrs. 10 mins. Paris CDG Intl. Airport 6 hrs. Getting there by train : Closest main station is St Gervais les Bains, change onto the Mont-Blanc Express that stops at the small stations along the 'Vallee Blanche' to Argentiere. Bedroom 1: First floor Master bedroom with a king-size bed, TV, DVD player, iPod docking station, private balcony and en-suite bathroom with bathtub, shower, double vanity and WC. 2 guests maximum. Bedroom 2: Ground floor Master bedroom with a king-size bed, TV, DVD player, iPod docking station, lounge area and en-suite bathroom with bathtub, shower, double vanity and WC. 2 guests maximum. Bedrooms 3 & 4: Bedrooms with a king-size bed (can be made up as two single beds), TV, DVD player, iPod docking station and en-suite bathroom with shower, vanity and WC. 2 guests maximum. Bedroom 5: Bedrooms with a king-size bed (can be made up as two single beds), TV, DVD player, iPod docking station and en-suite bathroom with bathtub,, vanity and WC. 2 guests maximum.